The pro-life leaders expressed sadness that institutions – such as a hospital and courts – that were designed to protect the vulnerable are now deciding that death is in the best interests of a young child, and that his parents should not have a say in his care. There is a lot of medical evidence that has not yet been released to the public. But we know that when that starts to come out, the tide will begin to turn. And public pressure is building, from the pope, to President Trump, to 37 European parliamentarians, to Cher! Foster said she and a delegation from the U.S. are leaving for the U.K. Thursday night to add their voices to Charlie’s parents and their supporters. She said Charlie has a “right to life” and his parents have the right to fight for his life. Though Charlie’s parents have raised some $1.7 million from private sources to bring Charlie, who suffers from mitochondrial depletion syndrome – a very rare genetic disease – to the U.S. to receive an experimental treatment, the 11-month-old baby remains at the Great Ormond Street Hospital in London, where he is slated to be removed from life support per the decision of the hospital and the orders of the courts. “Who are we to decide? Who do we think we are, that we decide who gets to live and who doesn’t, whose life is valuable and whose is not?” asked Concerned Women for America CEO and president Penny Young Nance during the press conference. 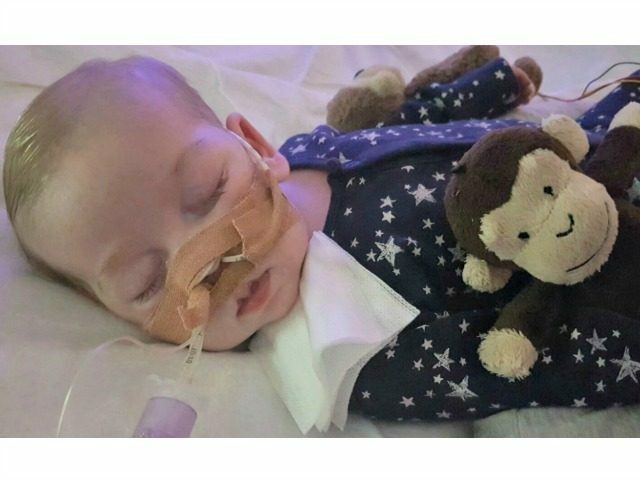 The hospital states it has exhausted all its options for treating Charlie, but the baby has no access to the treatment his parents have been offered and desire since both the U.K. domestic courts and the European Court of Human Rights have rejected all of their pleas to remove Charlie from the hospital, even a request to allow the baby to return home with them for his final hours. March for Life has launched a petition to raise awareness and gather support for Charlie and his parents. President Donald Trump has already offered to assist Connie Yates and Chris Gard, Charlie’s parents. As the Daily Mail reports, British Prime Minister Theresa May is scheduled to meet with Trump at the White House’s request on Friday. The agenda is reported to include discussion about Charlie’s care. The two leaders are attending the G20 summit in Hamburg.